PSG’s game-changing Jordan Brand collaboration has just been re-stocked. 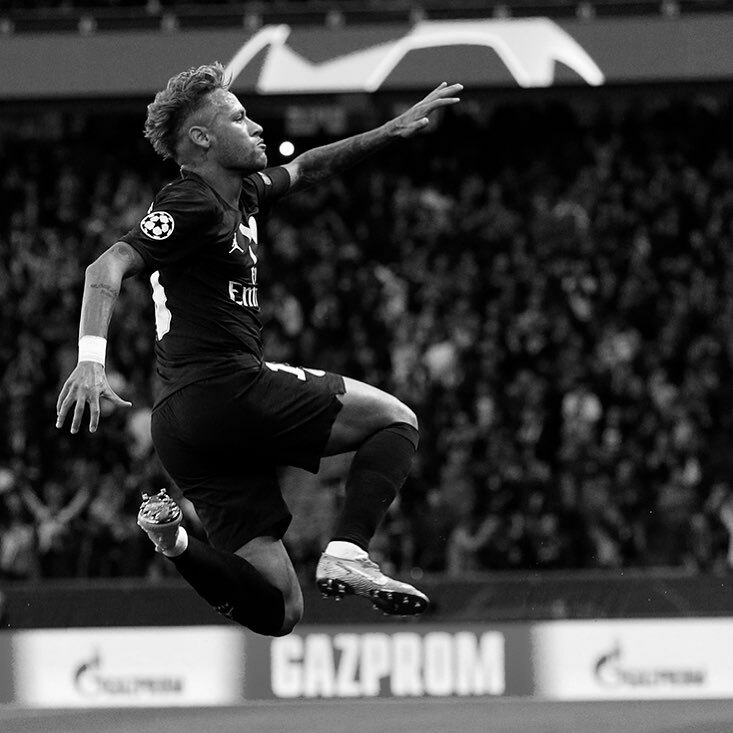 The kits are built on Nike’s new Vaporknit Match design template and feature clean black and white colorways with red accents that have been used as the club’s third and fourth kits in the Champions League this season. Both jerseys quickly sold out on their initial release but have just been restocked on nike.com, so you’ll have to act fast to cop the much-hyped 3rd and 4th strips, which are priced at £64.95. The re-stock coincides with the release of the Air Jordan 1 Retro High OG Paris Saint-Germain, with the special-edition sneaker becoming the second pair of Air Jordans featured in the collection, also available from today at nike.com. Check out the newly-released silhouette below. PSG and Nike have also collaborated with Paris based artist Tyrsamisu for a wavey new typography design for the newly-restocked jerseys.